HM Digital AP-1 has one year warranty. 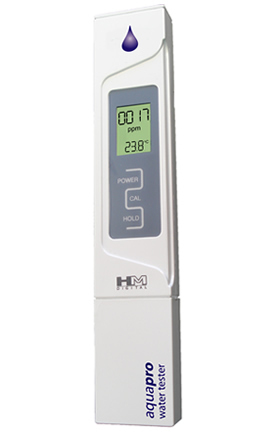 HM Digital introduces its new AquaPro series, a line of handheld TDS/EC meters with a sleek design that's perfect for today's modern kitchen. The AquaPro digital water testers are the next generation for today's tech-savvy and health-conscience consumer.